Orthotics are orthopedic devices worn in your shoes that are used to alter or modify foot function and are designed to treat, adjust, and support various biomechanical foot disorders. Some “orthotics” are simple, commercial devices, such as over the counter insoles for shoes that are generic and one shape fits all. The most effective orthotics, however, are devices that are custom-made to meet the specific needs of a particular individual. Custom-made orthotics are adjusted to balance out the deformities and correct misalignments of each individual patient. There are many types of orthotics constructed of various materials. All are concerned with improving foot function and minimizing stress forces that could eventually cause foot deformity and pain. 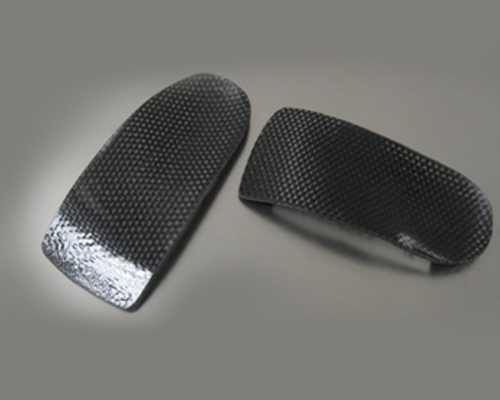 The Coeur d’Alene Foot and Ankle Clinic most commonly uses a carbon graphite composite custom-fit orthotic that will fit comfortably in dress, casual or athletic footwear. This semi-rigid material will hold the correction designed for your foot, and will maintain this control using minimal space. Because of the characteristic of the materials involved, no alteration in shoe size is necessary. This type of orthotic device is adjustable, meaning the doctor can change the correction as needed over time to accommodate changes in your feet, activity, etc. This is done in the office meaning your orthotics do not have to be sent away for modification so you can have them adjusted and back in your shoes in one quick visit! Excessive pronation – Pronation refers to the inward rolling of the foot during normal motion. A moderate amount of pronation is required for the foot to function properly, but damage and injury can occur during excessive pronation. When excessive pronation does occur the foot arch flattens out and stretches the muscles, tendons and ligaments underneath the foot. Excessive supination – This is the opposite of pronation and refers to the outward roll of the foot during normal motion. A natural amount of supination is also required. However, excessive supination places a large strain on the muscles and tendons that stabilize the ankle, and can lead to the ankle rolling completely over, resulting in an ankle sprain or total ligament rupture. Heel conditions – Orthotics are often prescribed to treat heel conditions such as heel spurs, plantar fasciitis, and Achilles tendonitis. Return as directed for follow-up evaluation of the functioning of your orthotics. This is important to making certain that your feet and orthotics are functioning properly together.